Susan consistently demonstrates a wide range of skills to positively impact product design and user experiences. She is a natural leader in addition to being a well-rounded team player. She has a gift for identifying needs and requirements, communicating them effectively to team members and management, and taking responsibility for representing the customer/user throughout the design/development process. Susan is a strategic thinker and innovator with respect to product development and research methods while at the same time being practical, realistic, and reasonable given business constraints. Perhaps most importantly, Susan is professional and personable, a pleasure to work with. 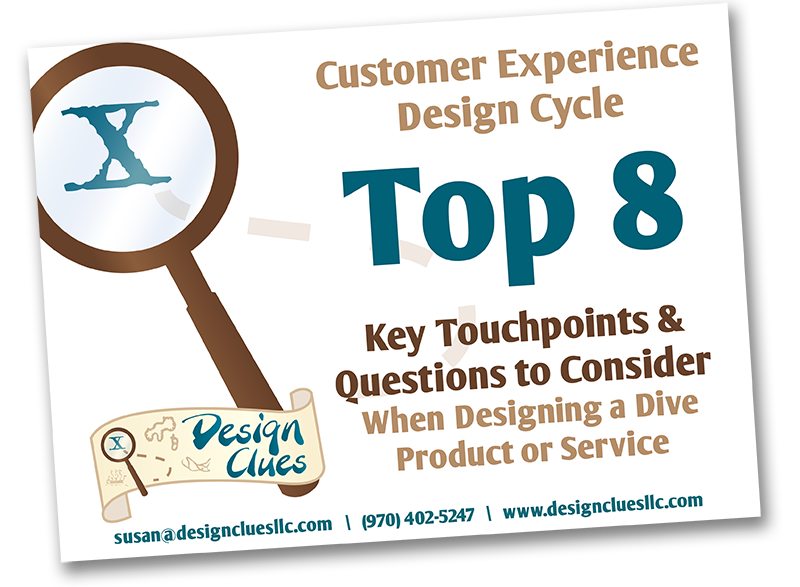 Enter your name and email and get the Customer Experience Design Cycle Guide... it's FREE! Learn the 8 Key Touchpoints in Dive Design. Improve your results and ensure an amazing product launch! User Experience – What is that and how does it relate to diving? We love answering your burning questions. Why not send us a quick message?